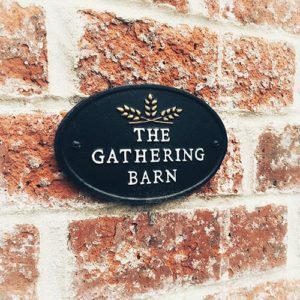 My first wedding of 2018 saw a visit to the fantastic Gathering Barn near Warminster. A new venue for me this one, and it’s an absolutely beautiful spot in the middle of the Wiltshire countryside. 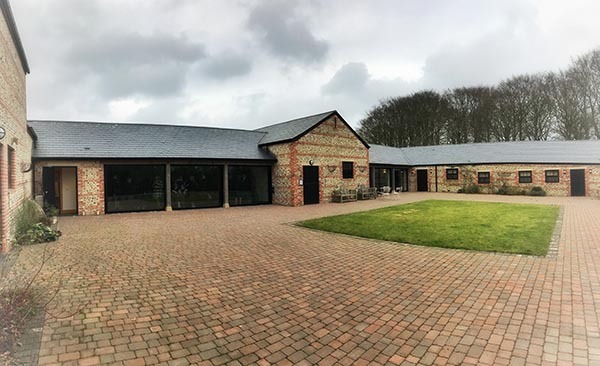 After driving down a farm track for a couple of miles, I was worried that the sat nav was sending me on a wild goose chase, but thankfully I arrived at the barn with plenty of time to spare – I don’t think that was the official entrance though! The barn was looking absolutely amazing thanks to Helen of I Do Weddings, who was busy making sure everything ran smoothly when I arrived to set up. 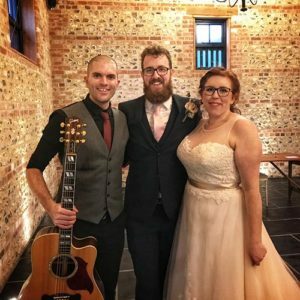 Will and Vicci booked me to sing at the wedding ceremony and drinks reception, so I set up and put some music on as guests started trickling in. As everyone entered the ceremony room I began playing some live songs to set the ambience, ready for Vicci’s big entrance. Shortly after 1.30pm I began playing Vicci’s bridal entrance song – Marry Me by Train. We had some live songs during the signing of the register, then finally ‘My Universe’ by The Shires for the exit of the married couple. A new song for me this one that that I learnt for the day and it worked perfectly! Then it was through to the bar area for drinks, photos and of course more live music! I played acoustic songs from 2-4pm as guests mingled and took in the beautiful surroundings. An absolutely fantastic day, and a wonderful couple – congratulations Will & Vicci, aka Mr & Mrs Tonking! This entry was posted in News, Wedding Guitarist Blog and tagged acoustic, Bristol, drinks reception, entertainment, guitar, guitarist, idea, ideas, inspiration, live, live guitarist, live music, live singer, music, music blog, musician, performance, reception, set, singer, singing, venue, venues, wedding, wedding blog, wedding entertainment, wedding music, wedding song, wedding songs, weddings by Pat McIntyre. Bookmark the permalink.